If you need the type of vacation that involves no more strenuous decision-making than whether you should have your cocktail in the open living room or on the covered deck, then Gouverneur Dream Villa is your destination. 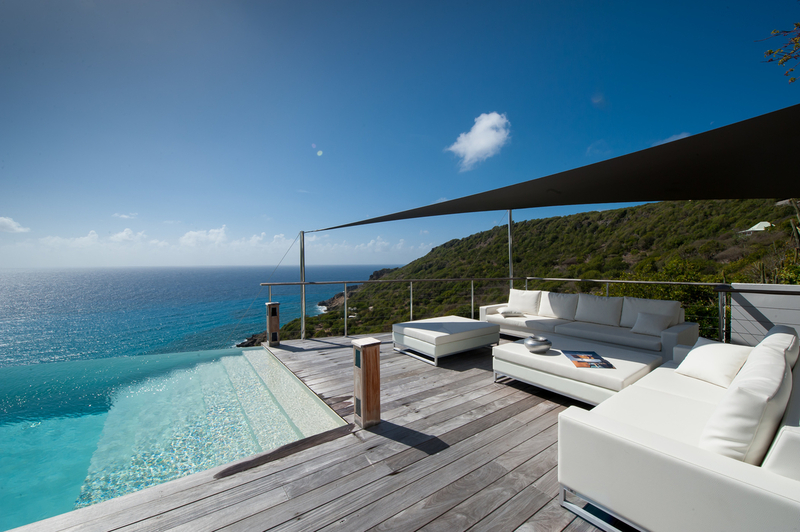 It overlooks Governeur Beach and offers panoramic views. The common dining and living areas are perfect for your daily dose of socializing, but you can always find a private nook for sun, relaxation, and yet more views. Extra touches make this an ideal destination for discriminating travelers: the pool seems to flow right to the door and right into the ocean; the contemporary design complements the tropical atmosphere; the space offers privacy. But there are some tough decisions to be made: use the fitness center or home theater? Pool or beach? Sunning or nearby attractions? Enchanting views over the pristine beach and crystal clear ocean! Gouverneur Dream Villa has views of the Beach of Governeur and the Caribbean Sea. The villa is secluded and private. It features modern architecture and marble, stone, steel, and wood accents. The fully equipped kitchen opens into the living room and has seating for 6, 8, or 12 guests. Next to this is a terrace with views of the Caribbean. The two upstairs bedrooms have sea views. The pool is surrounded by tropical landscaping and the hillside. **The price of Christmas/New Years in in Euros, the rest of the year the villa is priced in US dollars. Welcome- 10 years and older, please.